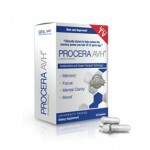 Adderex SR is an Adderall alternative that serves as the “strongest focusing aid without a prescription”. The reason why people who suffer from ADD/ADHD tend to move away from prescription medications such as Adderall or Ritalin is because these products come with such heavy side effects. 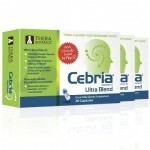 Users may experience headaches, dry mouth, trouble sleeping, nausea and more. With that said, many pharmaceutical companies have seen this problem as an opportunity to create a substitute supplement without the negative baggage. 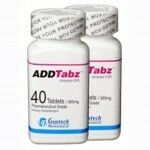 Adderex SR is designed to “maintain concentration and improve productivity”. 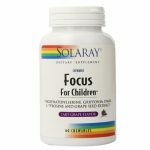 If it can keep its promises and deliver successful results, then people with ADD/ADHD should be happy to know that an affordable, over-the-counter replacement is finally available. Our first impressions of the product were not too great. The branding is a bit too tacky for our taste and we can’t help but feel as though Adderex SR should adopt more neutral colors. We say this because we have encountered a lot of companies that take their products very seriously, which sets the bar very high. However, a proper investigation of Adderex SR’s ingredients, potency and testimonials is crucial to be able to properly review the product. Keep reading to find out whether or not Adderex SR could suit your needs. Adderex SR’s ingredients were quite shocking as it includes some very uncommon ingredients in nootropic supplements. 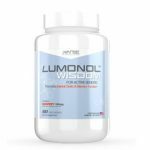 The company has decided not to disclose their full list of ingredients and dosages, which was quite a huge disappointment. The ingredients that they do show, however, are not too impressive either. R-Beta Methylphenylethylamine and Beta Methylphenylethylamine tartrate are both synthetic amphetamines, meaning that they act as stimulants on our brains. These work very effectively to keep us motivated and alert, but the biggest issue is that they can be addicting. 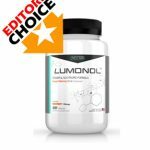 Certain supplement brands prefer to adopt a natural blend of ingredients in attempt to eliminate chances of side effects. However, natural formulas are not very potent and will often fail to bring significant results. 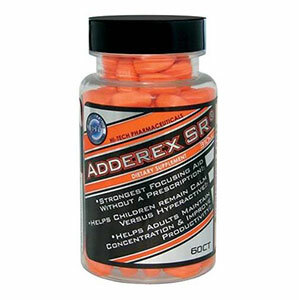 We believe that Adderex SR has decided to include stimulants in their formula in order to achieve optimal potency. Nevertheless, they should keep customer safety in mind before choosing to release a (potentially) highly addictive product. The best way to go is to include a balanced blend of both synthetic and natural ingredients. In this case, we would have success and safety in check. We only tested Adderex SR for a period of 6 weeks because we felt like this was a sufficient amount of time to check out the product’s short-term effects. We had a total of 5 members try out the product and we were quite eager to see what results would shine through. As expected, the effects kicked in starting from day 1. Our members reported feeling more alert and motivated, which are two very important aspects to improve on if you are concerned with productivity. As the days went on, we began to see other effects come into the picture. For instance, three of the six members stated that their verbal fluency improved. One member who once had stuttering problems felt like he could tell stories to his colleagues at work with much more ease and while feeling less anxious. Although we did not have an empirical method of measuring the truth behind these claims, we were glad to see that our testers felt positively about Adderex SR.
By the end of the 4th week, however, the effects once prevalent slowly started to fade away. We assume that this happened because the members began to build a higher tolerance for Adderex SR’s recommended dose. Since the short-term results quickly took its leave, we expected some long-term effects to show up. Only 2 of the six members continued to feel some kind of results. Side effects were not as bad as we expected, but that’s not to say that there weren’t any. Three of our testers experienced some minor headaches within the first five days of use. 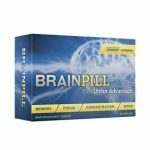 Although this may concern you, please be aware that all nootropic supplements are capable of causing minor side effects such as headaches, particularly because the products work by enhancing blood flow to the brain. 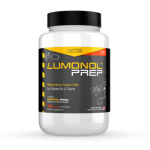 If you are new to nootropics then we suggest that you take a lower dose and work your way up. 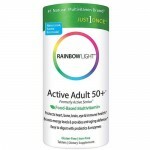 One month’s supply of Adderex SR costs $29.99, which is very cheap. A little too cheap, if you ask me. Considering their limited formula, however, production costs shouldn’t be too much. While Adderex SR may seem to be very effective at first, we believe that its ingredients create an illusory effect. 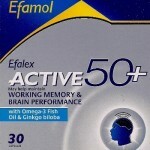 In other words, the formula is designed to make you feel like the product has ‘kicked in’. Within a few hours of popping your first pill, you may feel more energized, alert and even eager to get things done. For this reason, you may correlate your physiological sensations to your mental abilities. Since Adderex SR consists of stimulants, however, we would like to point out that there are no long-term effects clinically proven. 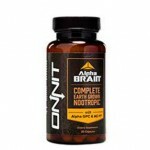 If you are interested to increase your mental power while protecting brain health, then we recommend trying out a more natural stack with well-known nootropics. 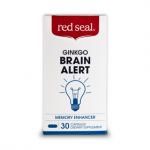 However, we would like to take into consideration the fact that this product was designed as an Adderall alternative, meaning that it is specifically targeted towards people with ADD/ADHD. 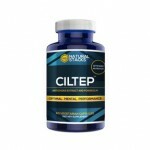 In that case then the product may produce very effective results – but only in the short-term, as mentioned beforehand. If you need an extra boost for a special occasion, such as a hectic upcoming exam week, then taking a few pills of Adderex SR would do the job wonderfully.